There are many questions in life that demand to be answered. "Who would win in a basketball game, the ’15-16 Warriors or the ’95-96 Bulls?" "How would a Manny Pacquiao-Anne Curtis duet sound like, at bakit hindi pa 'to nangyayari?" "Aside sa abs, anong meron sa asawa ni Solenn Heussaff na hindi niya nakita sa akin?" But more importantly, one question I’ve been asking myself since the weekend is this one: Why is there a Now You See Me 2? 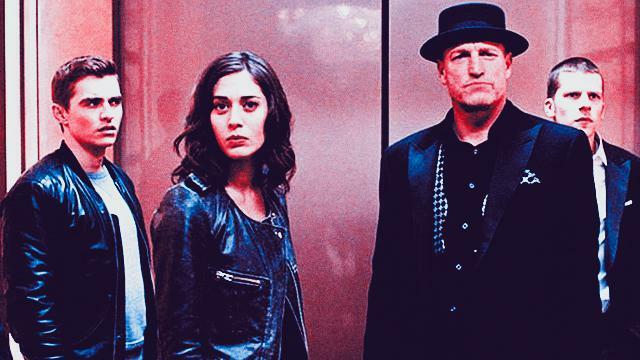 To the uninitiated, the first installment of the Now You See Me franchise (there's a third movie on the way, so it's now a certified franchise) tells the story of a group of magicians who call themselves the Four Horsemen. The Four Horsemen take their orders from an ancient magical sect called the Eye and their mission is to steal from the rich and corrupt corporations of the world and give to the poor. So in other words, it’s exactly what you’ll get if a sleepy-eyed David Blaine decided to become a criminal instead of trying not to go crazy while trapped inside a glass box for 44 days. For the sequel, the Four Horsemen have a new target: a corrupt tech company. (Siyempre dapat "corrupt" tech company, kung hindi masasamang tao lang sila niyan). So once again, Jesse Eisenberg, Woody Harrelson, and Dave Franco are back to their "Robin Hood" ways. But this time, a newcomer, played by Lizzy Caplan, joins them to bring that much needed feminine charm. They are "secretly" being led by the antagonist of the first movie, an FBI agent played by Mark Ruffalo. 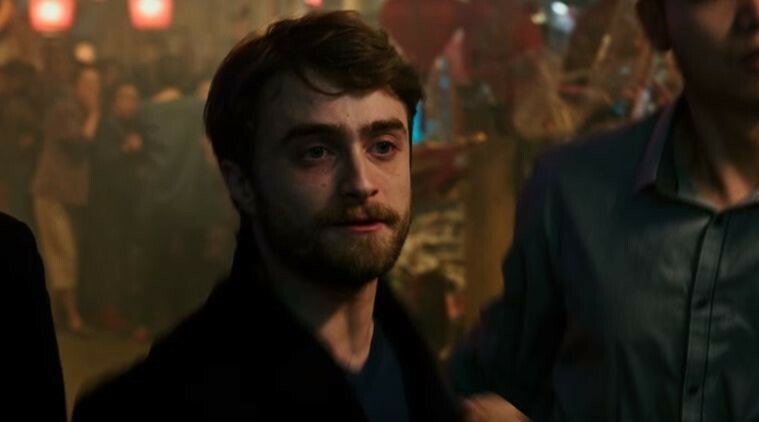 But their plans are put in disarray when they are "magically" transported to Macau and are forced to pull off a dangerous heist for the tech company’s founder played by Daniel Radcliffe who is supposedly already dead. If you thought the whole thing is a bit convoluted, you’re not alone. And that’s the problem with Now You See Me 2. Though the movie succeeds in entertaining audiences with set pieces and elaborate magic tricks, the plot doesn’t quite make sense. There are twists and turns everywhere that it runs the risk of audiences losing track of everything that’s going on and why it’s happening in the first place. Like its predecessor, the movie gets by with action-packed scenes, light-hearted comedy, and the appeal of the cast. 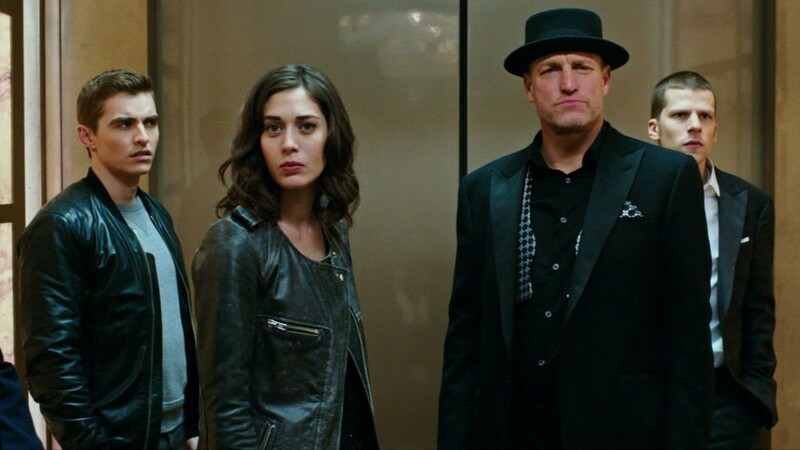 Lizzy Caplan is a welcome addition to the group and is surprisingly the funniest character in the movie. It’s also refreshing to see Daniel Radcliffe depart from his Harry Potter persona and play a villain for once. Magic, specifically a film about magic, requires a suspension of disbelief to some degree. But Now You See Me 2 takes it a bit too far sometimes. The movie expects the audience to just go along for the ride, and the only way to enjoy the movie is if you actually do. One glaring problem is how the story is only possible if the characters lived in a world where the police and law enforcement agencies are comically inept. As in "cops in a Tagalog movie" level of ineptness. Tapos na 'yung gulo bago pa dumating! The Four Horsemen and FBI agent Dylan Rhodes (Ruffalo) are supposedly wanted criminals, but they surprisingly walk around freely not worried about being caught. They go on YouTube and tell the world where and when they’re going to be, and when they finally get there it seems like the police are still taken by surprise. The midpoint heist, which is one of the highlights of the film, is beautifully choreographed and a lot of fun. But it only works if you expect a high-tech institution, complete with metal detectors and state of the art equipment to not have a working CCTV. Local news programs like TV Patrol have entire segments dedicated to small-time crooks being caught on CCTVs and these facilities in Macau that store sensitive items don’t even have them? Eh yung Julie’s Bakeshop nga pinakita sa TV Patrol nahuli yung magnanakaw ng spanish bread sa CCTV eh! All things considered, the sequel is an improvement on the original but not by much. Mostly the improvement comes from the fact that there’s a lesser need for a setup since audiences know the characters already. Although in all honesty, this sequel seems a bit unnecessary. Nobody was curious to see Jesse Eisenberg play the same douchey Mark Zuckerberg role he played for The Social Network but with more card tricks. But Hollywood likes a sure thing—that’s why you’ve seen Vin Diesel wear a tank top and drive cars for seven films already but almost nowhere else. If you’ve seen the first one and didn’t like it so much, how would you feel about this movie? Well, imagine dating someone you already dated once before. This person looks good and is honestly a lot of fun. In fact, gusto nga siya ng barkada mo eh! Pero nung kausap mo na, tinanong mo tungkol sa El Niño ang sagot sa'yo, kailangan daw magtanim ng puno para maging La Niña! So you decide that this won’t work out, and you forget all about this person. But then you meet again after some years and you say to yourself "baka naman na-explain na sa kanya ni Kuya Kim ang pinagkaiba ng El Niño tsaka La Niña" Then you finally talk to her again and you remember the things you didn’t like about this person in the first place. That’s exactly what watching Now You See Me 2 feels like. Sure, it’s fun and all but if you didn’t like the first one then you probably won’t like this one either. 6/10. An entertaining movie that feels like the nerdy cousin of Ocean’s 11 but in order to really enjoy it you have to “turn your brain off” and just go with it.